It doesn’t get any better than homemade salad dressing and it doesn’t get any easier than this. 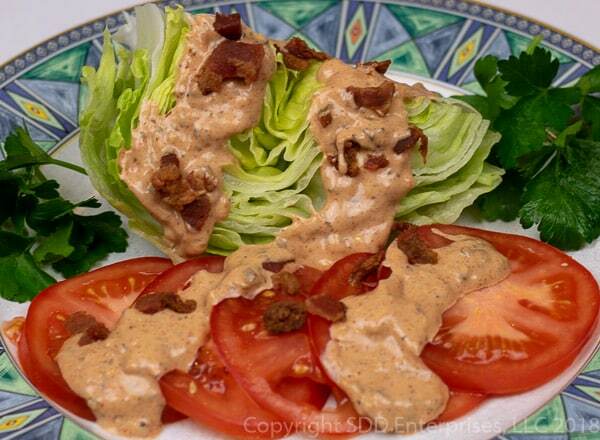 Take a new look at the classic Thousand Island dressing…everybody loves it and they will love it even more when you give it a Cajun twist. 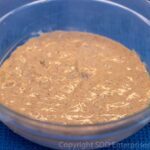 Of course its great on all sorts of salads, but its also fantastic on sandwiches and burgers or just as a dipping sauce. Wake up your salad with the Cajun cousin of this classic dressing. This creamy dressing has a slight kick and is so good you'll want to use it as a dipping sauce and on sandwiches and burgers. Its just that good. MIx all ingredients together in a small bowl. Cover and set in the refrigerator for one hour up to overnight. This can get kind of spicy. First, the Creole seasoning may contain cayenne pepper and raw garlic will have its own kind of heat, so give it a taste before you add the white pepper, the cayenne pepper or the garlic to make sure it's to your liking. Of course, if you like it spicy, go for it! This recipe yields about 1 cup of dressing and is easy to increase. I am using 1 tablespoon per serving. You can serve this right away but its better to let the flavors all come together-at least an hour, four hours is better and overnight is best!